Poor sanitation is a major problem across the globe. Developed countries are so used to indoor plumbing, they rarely give it a second thought, and certainly don't consider it a luxury. But for many, many people around the world, improper sanitation is a leading cause of disease with enormous consequences on health and safety. A company called change:WATER labs is trying to make a difference for the billions of people who don't have clean toilets with this astonishing innovation. Inhabitat reports that the program is led by researcher Diana Yousef, who is both a protein biochemist and CEO of change:WATER. Yousef has been working to help the 2.6 billion people around the world without toilets. Her team has developed an affordable, environmentally safe toilet that does not have to be connected to any kind of sewage grid, with low environmental impact. This toilet uses no power or plumbing. The toilet should be able to evaporate 95 percent of sewage through the use of a polymer membrane, which doesn't require plumbing or water to flush. The membrane is like a sponge. It soaks up the liquids inside, and accelerates evaporation. There's no use of power or heat to make this process happen. 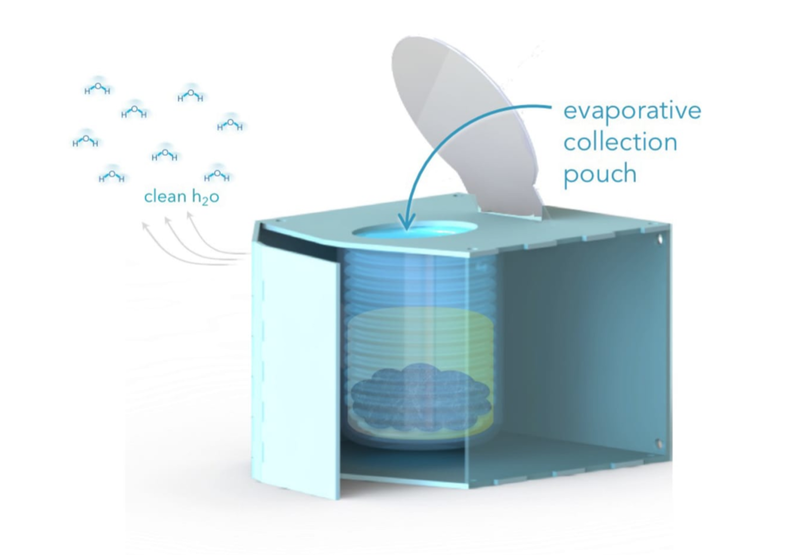 The vapors release as clean air, rather than fumes, and the solids are contained by the membrane, which is disposable. The reduction of volume means the toilets only need servicing once every two weeks. Yousef says the system promotes a “cycle of use and re-use in a more efficient, sustainable, low-carbon way.” She is a finalist in the 2018 Cartier Women’s Initiative Awards. Poor sanitation is responsible for 80 percent of world health issues, like infectious disease, and four percent of deaths. That may sound small, but in context, it is about 1,500 children every day. It can also lead to chronic illnesses that plague both children and adults. In areas without plumbing, the options are dumping and hauling sewage, which can be both expensive and dangerous. How do we tackle the world’s $220bn hygiene problem? It can also have an impact on girls in particular, who frequently drop out of school or miss class on days when they're menstruating, as educational facilities cannot be guaranteed to have working toilets. Public toilets also mean more women and girls are subject to sexual assault when forced to leave their home for access to a bathroom. As an exampled on their website, change:WATER writes that in Uttar Pradesh, "60% of reported gender-based violence is sanitation-related." The company is hoping to test their toilet in the field by the end of 2018, and have pilot programs planned in the U.S., Central America, the Middle East, and North Africa, and could immediately change the lives of many people. Amazing what the things we take for granted can do.